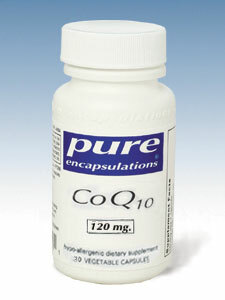 *The essential nutrient Coenzyme Q10 is a necessary component of cellular energy production and respiration. It is a component of the mitochondrial electron transport system, which supplies the energy required for a variety of physiological functions. Co Q10 provides support to all cells of the body, and is especially supportive of tissues that require a lot of energy, such as the heart muscle, periodontal tissue, and the cells of the body's natural defense system.